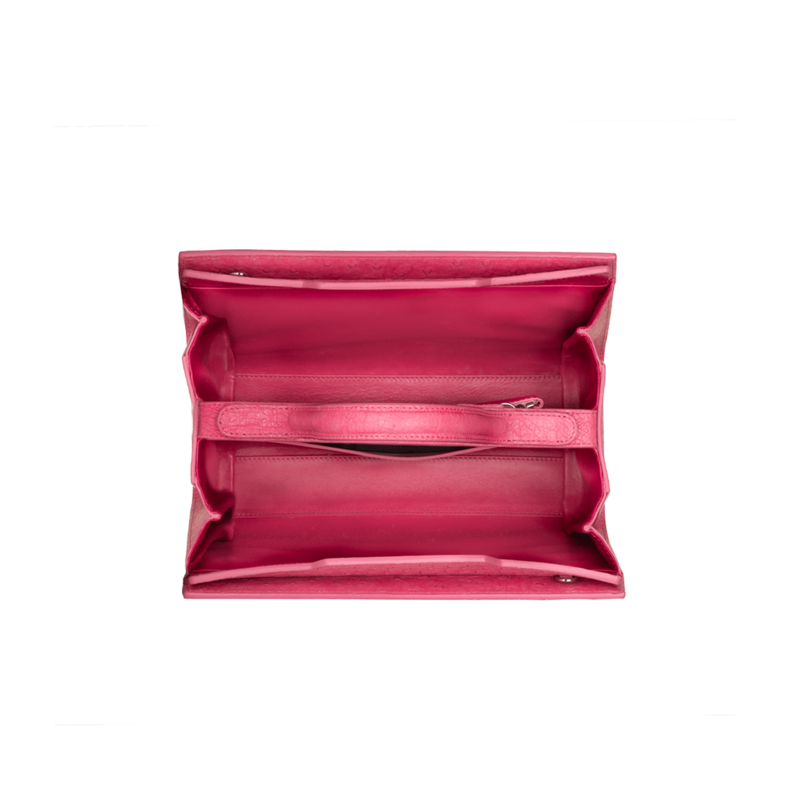 Palladium plated hardware with pink quartz. 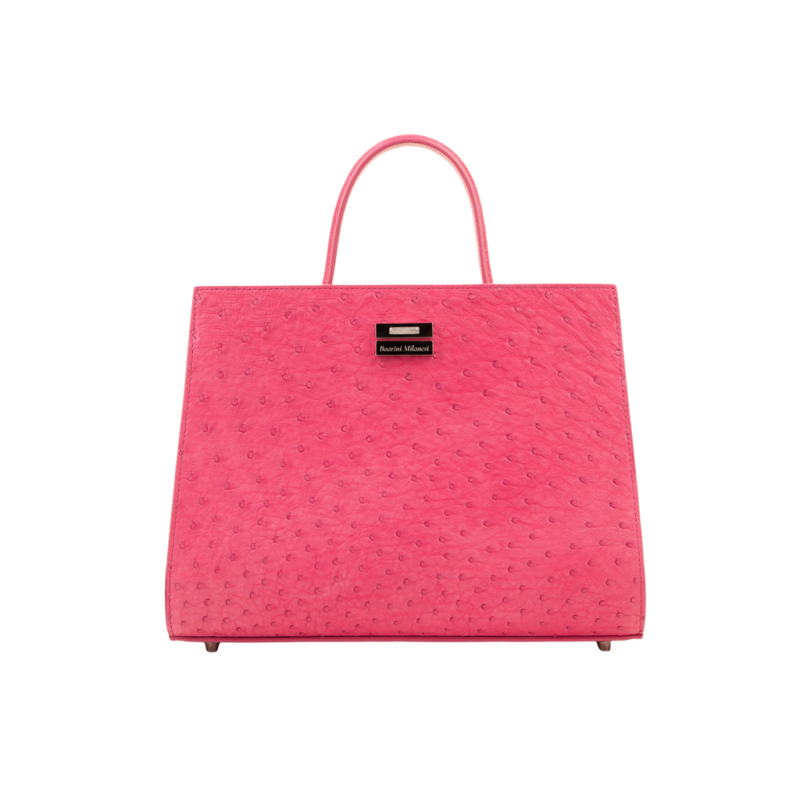 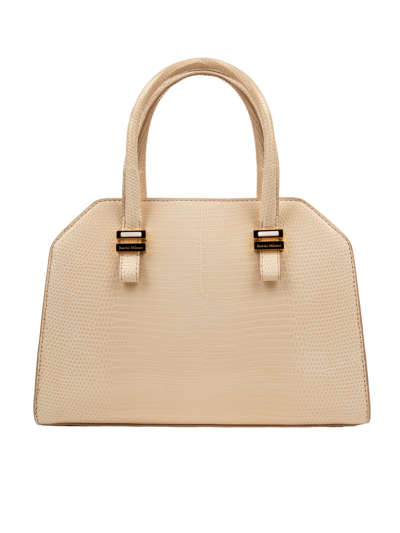 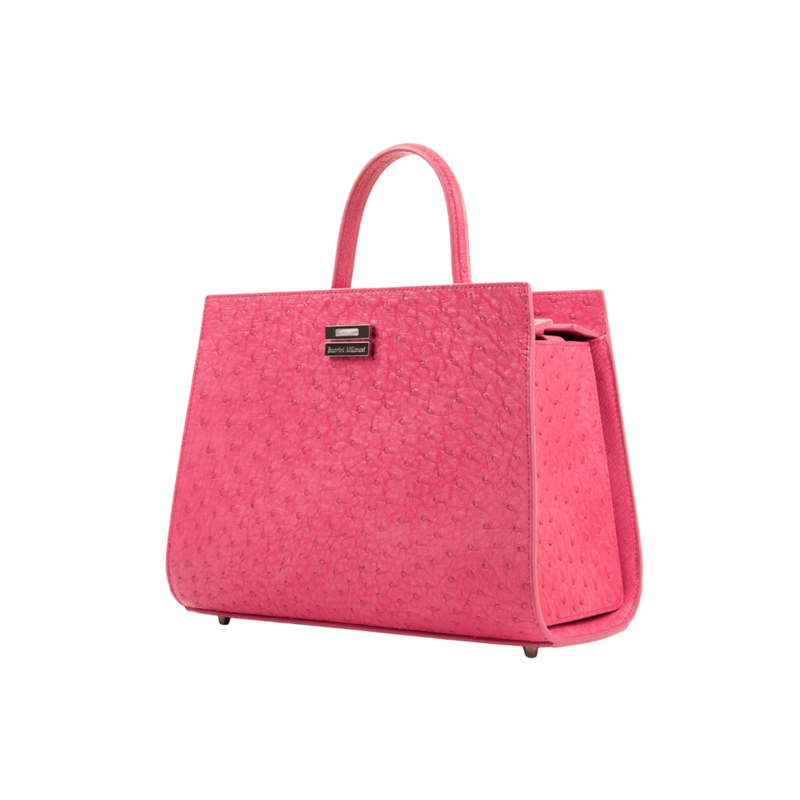 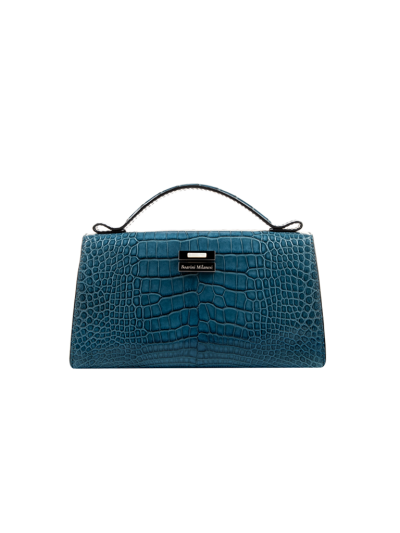 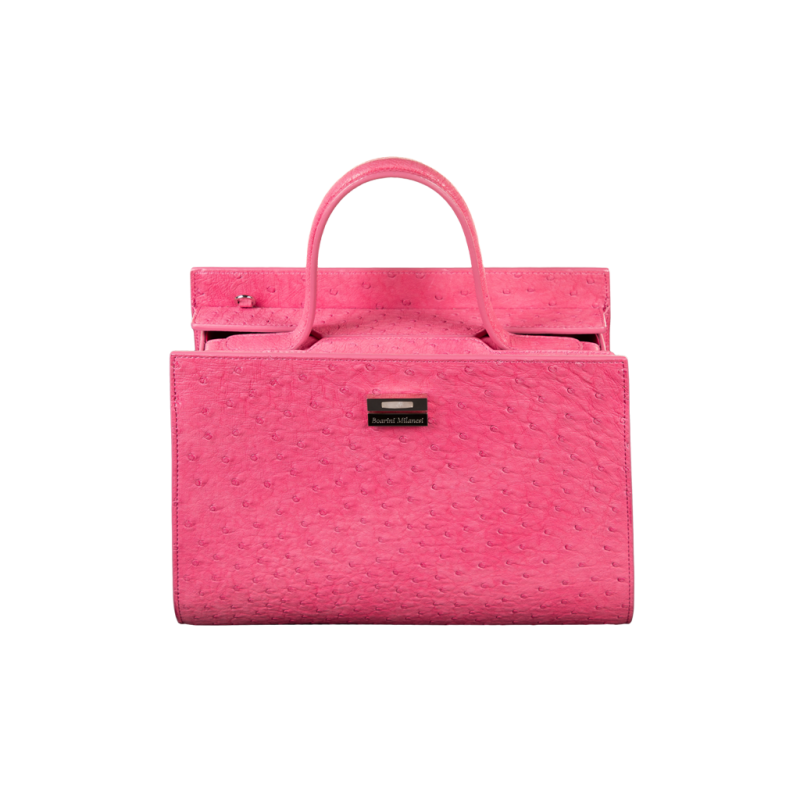 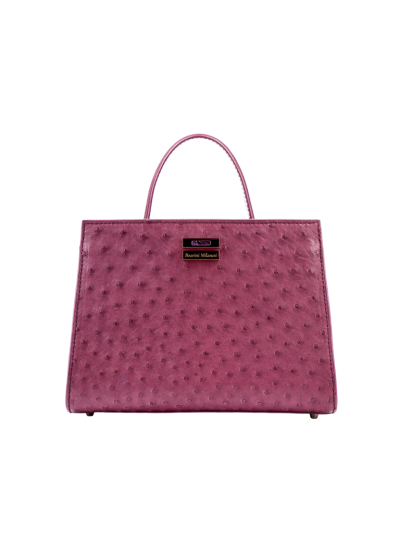 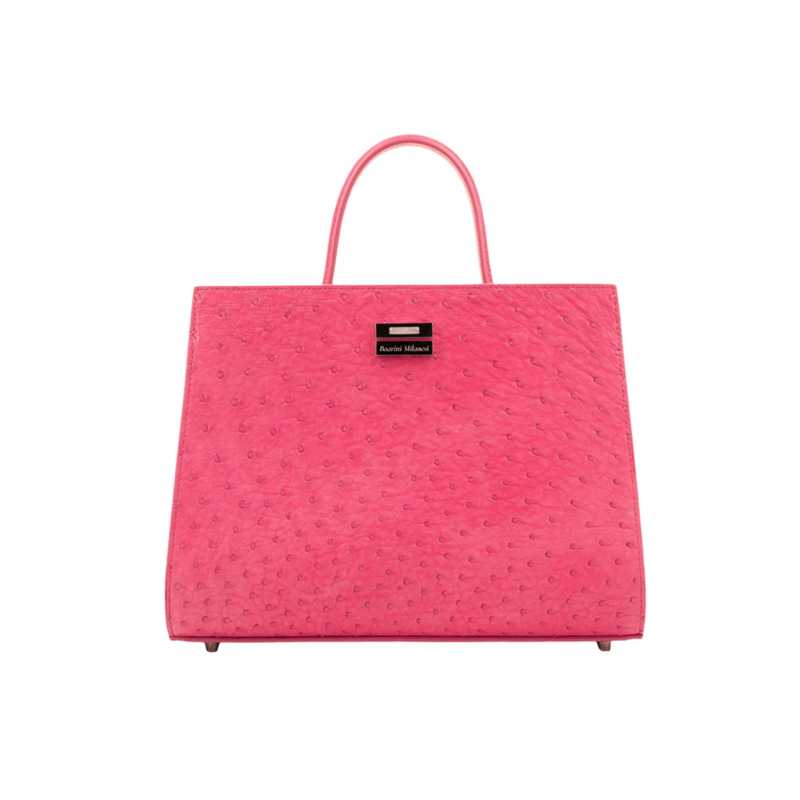 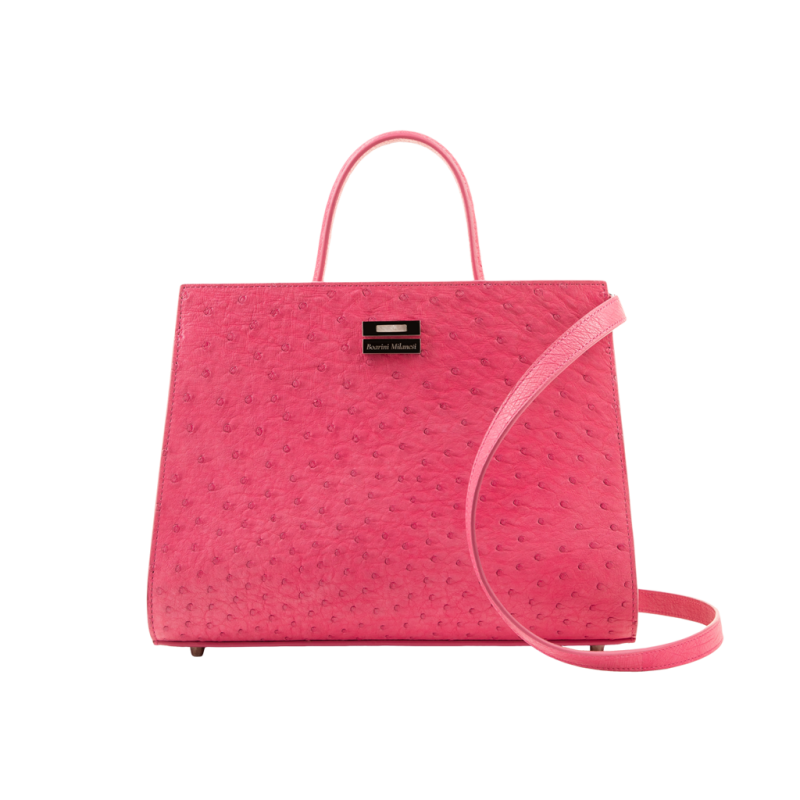 Handbag in precious ostrich leather in Venus pink. 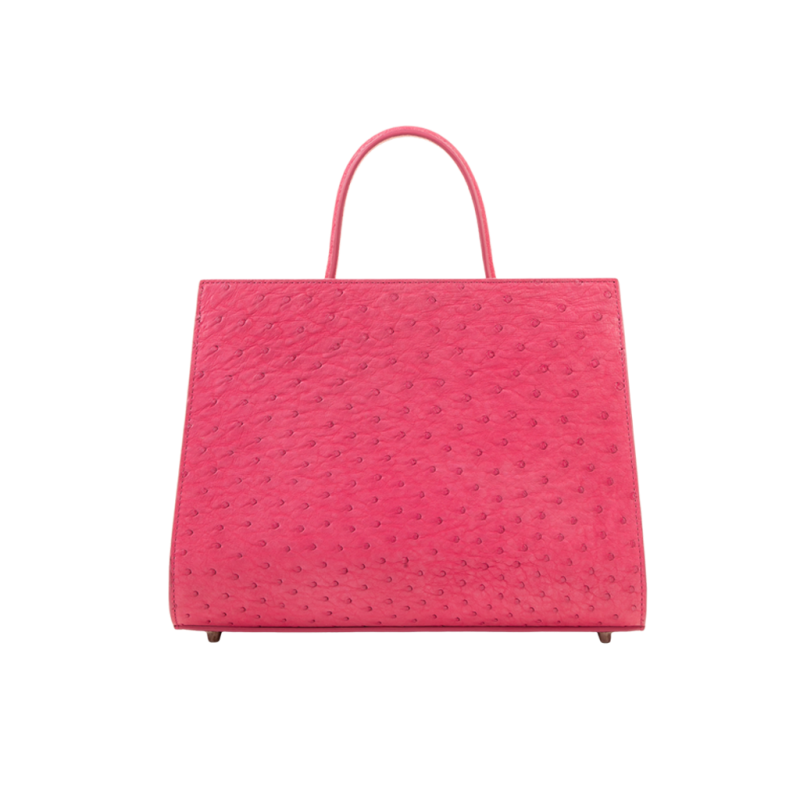 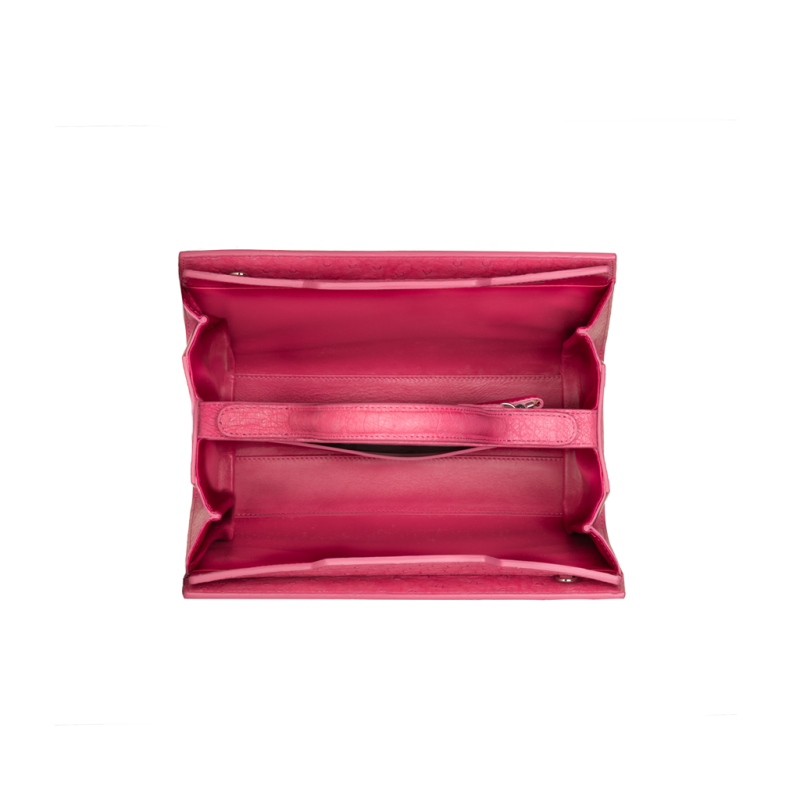 Soft interior in magenta nappa leather. Palladium plated hardware with detail in pink quartz.